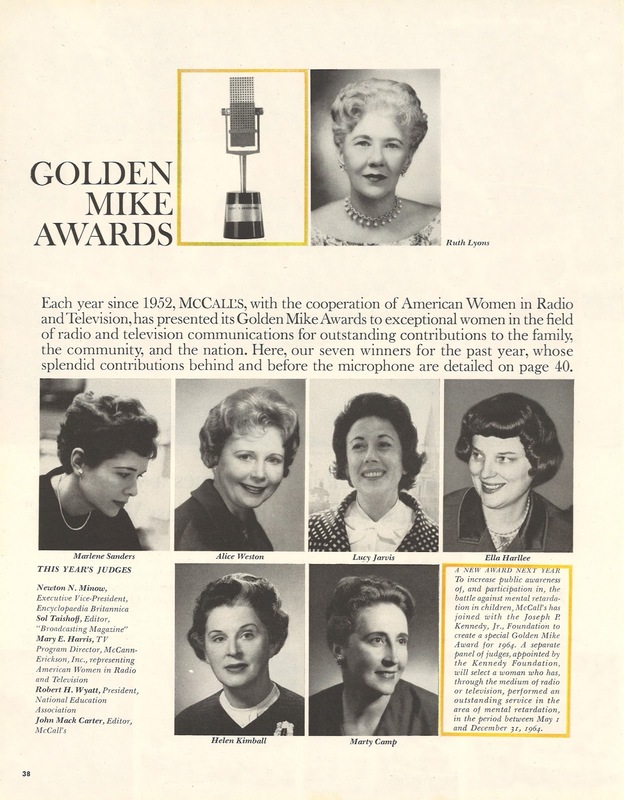 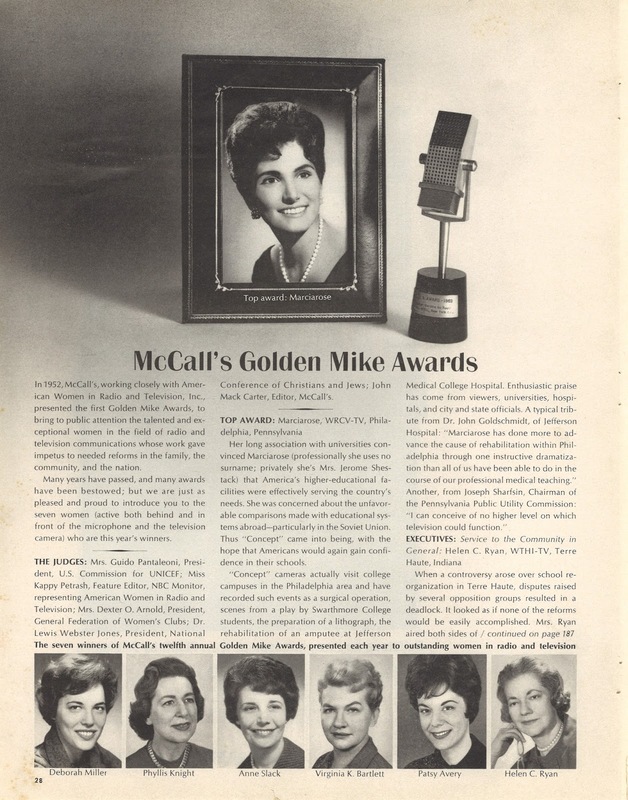 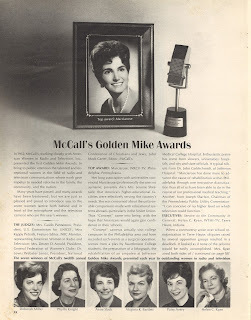 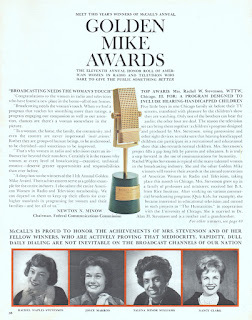 The Golden Mike awards were given to outstanding woman broadcasters and executives in following categories: service to community, service primarily to women and service primarily to youth. 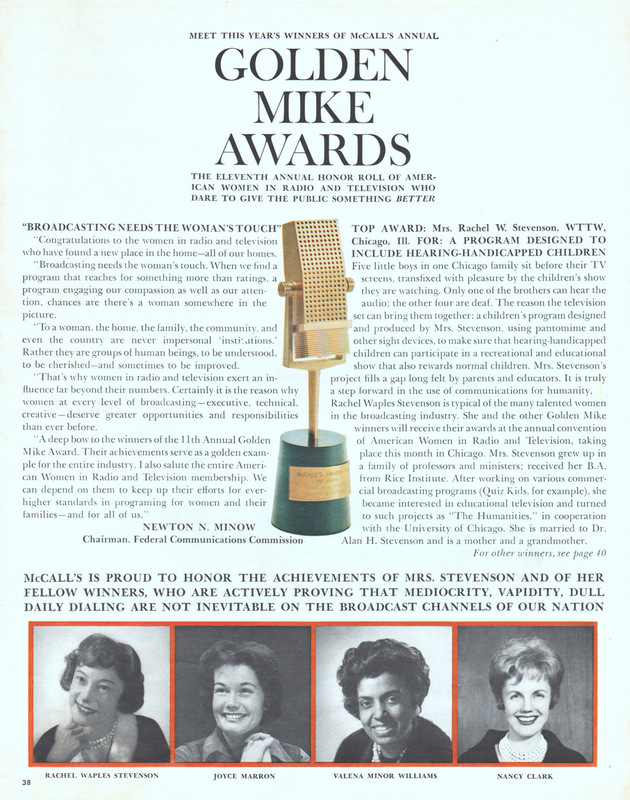 Today there are few if any civic-minded awards in broadcasting... this is one I wish could make a come back. 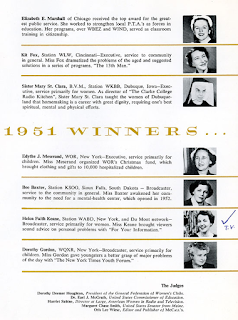 There is also disambiguation between the year of publication and the year of the award. 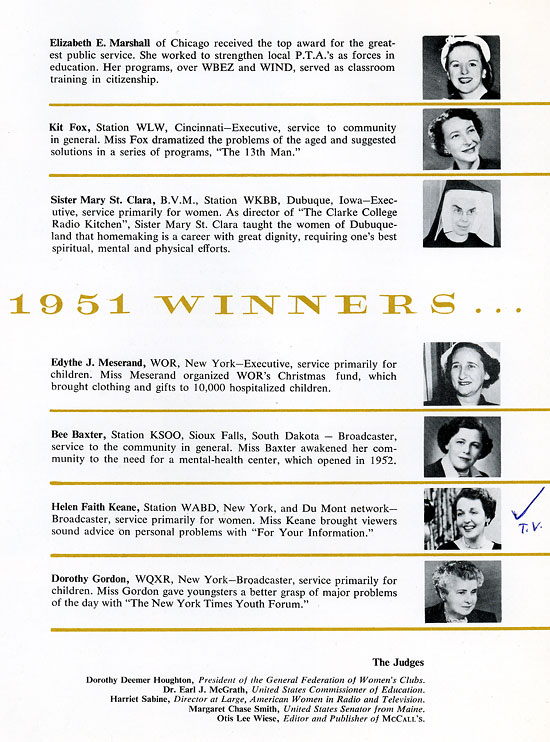 The 1951 awards were announced in May of 1952. 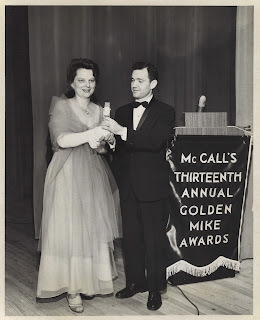 Different sources may refer to awards by either year, including McCalls themselves. I have stuck with year of publication for consistency. I have added an asterisk by the year of all fully corroborated awardees, preferred sources being MCalls, and/or Broadcasting Magazines. 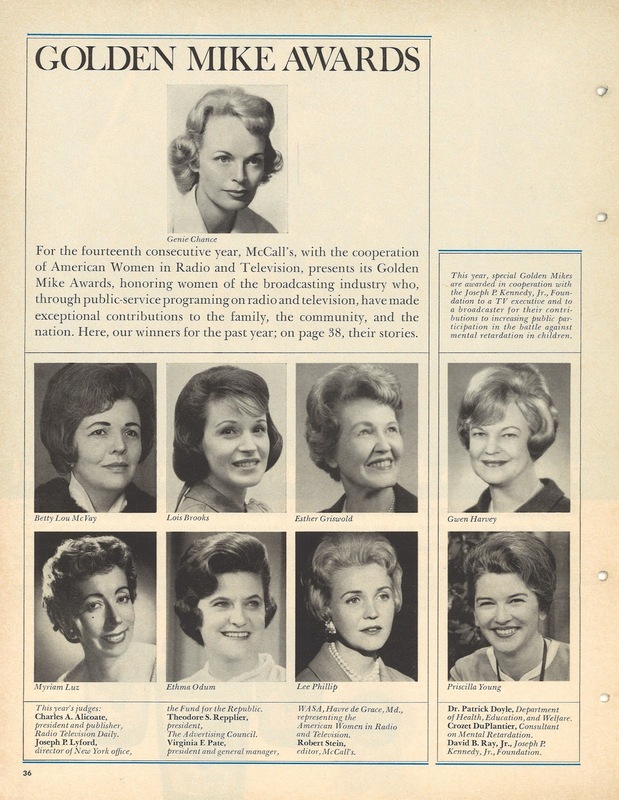 Agnes Moorehead - A one-woman show on Suspense, "Sorry Wrong Number"
Lillian Brown - WTOP-TV Washington D.C.
Ella Harllee - WRC-TV Washington D.C.